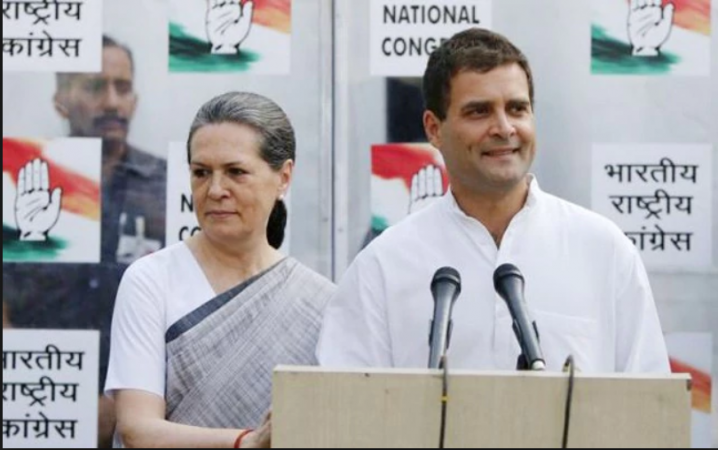 In an age when fiscal profligacy is out and fiscal prudence is the norm, Congress president Rahul Gandhi on Monday resorted to apparent populism and announced minimum income guarantee scheme 'Nyay' that is expected to cost the exchequer Rs 3.6 lakh crore annually. The expenditure entailed on the scheme, announced ahead of the coming Lok Sabha elections, is likely to alter the precarious fiscal equilibrium of the government. Niti Aayog Vice Chairman Rajiv Kumar said the scheme will burst fiscal discipline. Kumar said in tweets that the cost of the Minimum Income Guarantee Scheme at 2 per cent of the GDP and 13 per cent of the budget will ensure that the real needs of people remain unsatisfied. "True to its past record of promising the moon to win elections, Congress President announces a scheme that will burst fiscal discipline and create strong incentives against work, which will never be implemented. "Congress party promised GaribiHatao in 1971, OROP in 2008, food security in 2013 to win elections, but couldn't fulfil any of those. The same unfortunate fate awaits the populist and opportunistic promise of minimum income guarantee," Kumar said. Criticising the announcement, economist Surjit Bhalla tweeted: "Is RG's #MinimumIncomeGuarantee a game changer or absurd beyond compare? The idea is fundamentally flawed and so beyond compare." The estimated expenditure on the minimum income scheme is more than the defence budget for 2019-20. NR Bhanumurthy, a professor at the National Institute of Public Finance and Policy, however, said that it could be a scheme wherein some of the non-functioning welfare schemes are subsumed. Such a plan may work, he added. Gandhi announced the details of the scheme after a meeting of the Congress Working Committee (CWC) that discussed the party's election manifesto. He said the scheme will benefit 5 crore families and 25 crore individuals directly. Gandhi said the "minimum income line" is Rs 12,000 per month and the scheme will cover the difference for those earning less than that. Party leader and former Finance Minister P. Chidambaram later clarified that every family in the poorest 20 per cent will get income support of Rs 6,000 per month under the scheme. Nyay (Nyuntam Aay Yojana or minimum income scheme), Gandhi said will be a major poverty reduction measure in line with MGNREGA -- the rural employment guarantee scheme brought by the UPA government. The UPA government had also brought a farm loan waiver ahead of the 2009 Lok Sabha elections, which is widely believed to have helped the Congress get over 200 seats. Both Gandhi and Chidambaram said that they have done their mathematics and the scheme is perfectly doable. Chidambaram also said that the party will adhere to fiscal discipline in implementing the scheme. Finance Minister Arun Jaitley took a veiled dig at Chidambaram's remarks and said that "the internal economist (of Congress) has said that there will be no additional burden on the fiscal deficit". He said the fiscal deficit had touched nearly six per cent during the UPA government, inflation had gone high and "lack of fiscal prudence" had impacted foreign investment into the country. Chidambaram, who made tweets after Gandhi's presser, said that the poorest 20 per cent of families will get a uniform amount of Rs 72,000 per year under Nyay. "Happy that Congress President announced Nyay. Under Nyay, the poorest 20 per cent of families will get a uniform amount of Rs 72,000 year. In other words, every family in the poorest 20 per cent will be given income support of Rs 6,000 a month. We have consulted economists, this is doable, and we will adhere to fiscal discipline," Chidambaram said.